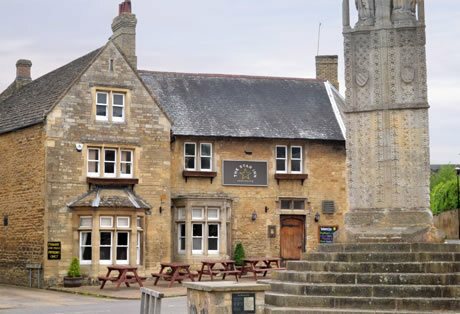 Situated in the Historic rural village of Geddington the Star is a beautiful Public House serving traditional food, local ales, fine wines and a selection of gins and rums and whiskies. Run by the Freeman family we are committed to providing a safe, tranquil and engaging environment for all to enjoy. We are open from 12 noon every day (except Monday and Tuesday which is currently 3pm) for sales of alcoholic beverages, soft drinks, teas and coffee. On Sundays we serve a traditional full roast dinner. Please see the menu section for more details. To pre-order your lunch please Call 01536 745990 or email pre-order@thegeddingtonstar.co.uk. Please give us as much notice as possible, your arrival time and when you wish to eat. Typical Menu, changes each week.